One day when Ed was riding a ski lift, he had a vision of the snow picking up, flying and leaving a streamer out the back of his blades. 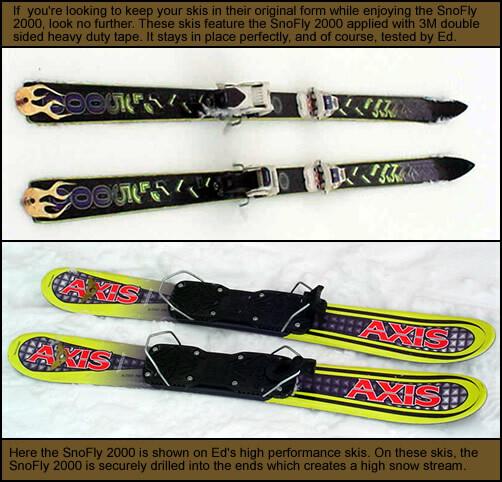 That's how Ed came up with this unique and remarkable invention, the SnoFly 2000. The SnoFly 2000 is the coolest thing out there...even cooler than the snow! 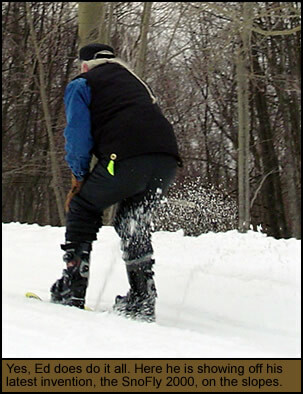 This invention shoots snow right out the back of your skis, creating a high snow stream behind you which streams up in different forms according to the snow's temperature and condition. If you want to be the coolest skier out there, the SnoFly 2000 is for you. The SnoFly 2000 can be made into flames, wings and many other designs that will make you and others do a double take when your skis are still. With the high performance blades, not only can Ed go as fast as he desires, he can also do 360° turns down the black diamonds. In fact, since this unit doesn't slow Ed down, he's been clocked at 54 miles per hour down hill and 17 miles per hour backwards. 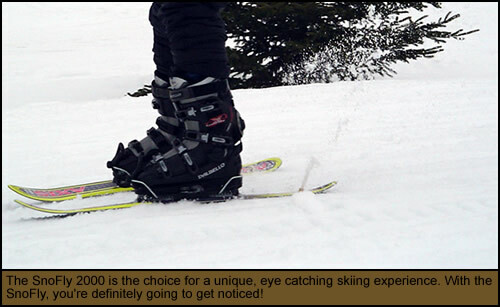 For more information about the SnoFly 2000, contact Ed.